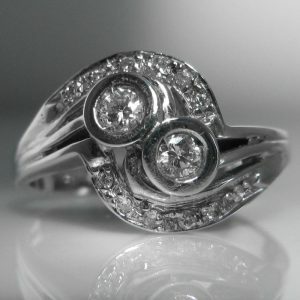 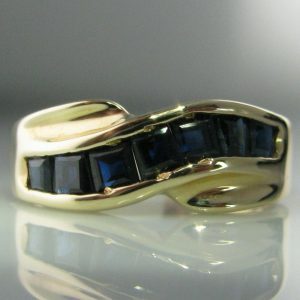 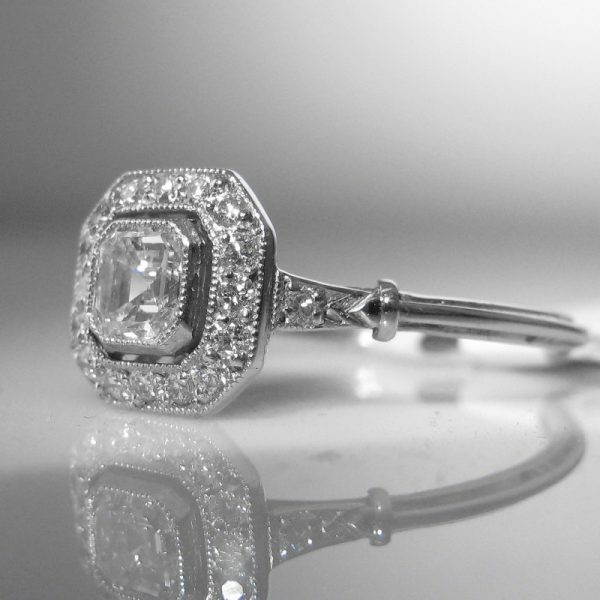 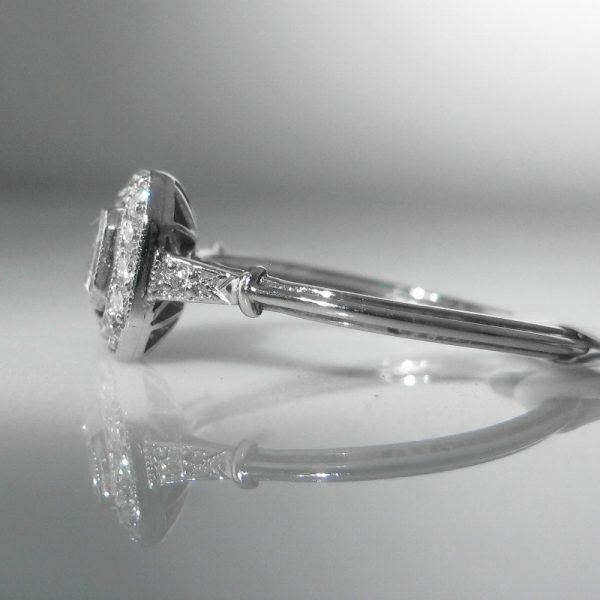 A beautiful vintage style diamond ring in platinum. 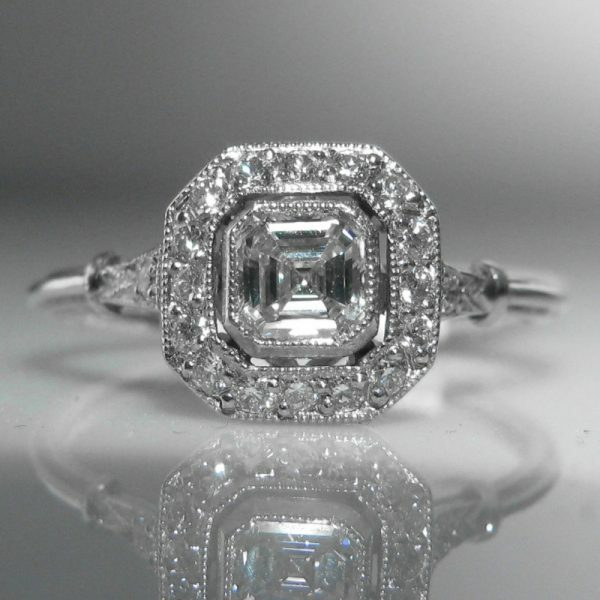 The Asscher cut centre stone is estimated to be G in colour and VS in clarity. 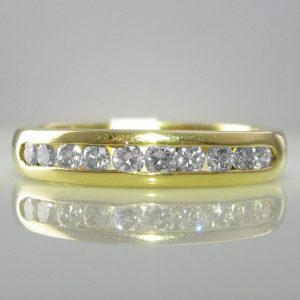 It is surrounded by an array of seventeen round brilliant cut diamonds which are milgrain set. 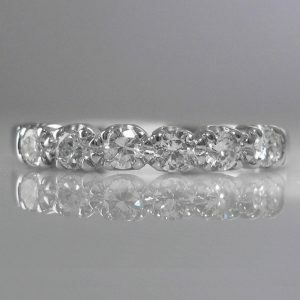 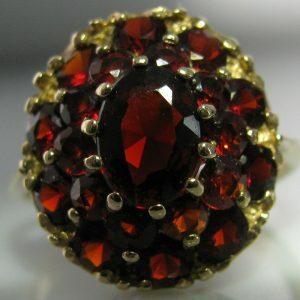 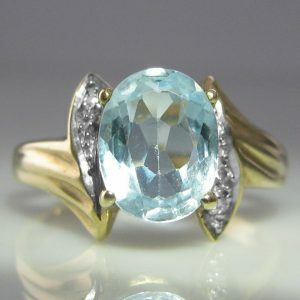 The estimated total carat weight of the ring is 0.57 ct.